Learn about home loan options. 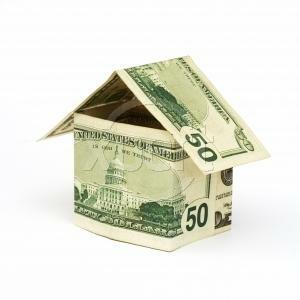 If you are thinking about refinancing your mortgage, you should get all of the mortgage refinancing tips that you can. The lower your rate and the better your lender, the more profitable your refinance will be. If you do not plan on staying in the house very long, refinancing may not be in your best interests. Unless you are getting a lower interest rate, refinancing your home may cost you more money in the long run and may require you to pay higher monthly payments. If you have a mortgage, you should keep an eye on rates-especially if you have an adjustable rate mortgage. Getting locked in at a lower, fixed rate can save you hundreds, possibly even thousands, of dollars over the life of your loan. There is a refinancing myth that says you should not refinance your mortgage unless your interest rate will be at least two points less. This myth is not necessarily true if there are other benefits to the refinance or other reasons behind it. If you are paying private insurance on your current mortgage, refinancing may allow you to do away with this unnecessary expense. Closing costs can be expensive. If you plan on refinancing your home to save money, be sure to take into consideration how much the closing costs on the new loan will cost you. If you have equity built up in your home, and you need cash, you have two choices: get a home equity loan or utilize cash-out refinancing. Each has its pros and cons, so be sure to evaluate your situation carefully prior to making a decision. When taking advantage of mortgage refinancing, the most important decisions you make will involve interest rates and lenders.The interest rate that you pay can significantly impact your monthly mortgage payment and the total amount of money that you pay over the loan. The lower your interest rate, the better off you will be. The same goes with the lender that you choose. By using a lender who offers low interest rates, lending fees, closing costs, and other incentives, you can save a great deal of money and truly make your refinance worthwhile. When refinancing, don't take the first offer that comes around. Instead you should actively compare both interest rates and lenders. If you have bad credit, find a lender who is willing to work with you and offer you reasonable loan terms. Know your credit score before you begin looking for a loan. If you can, try to remove any blemishes from your credit report before applying for a refinance.